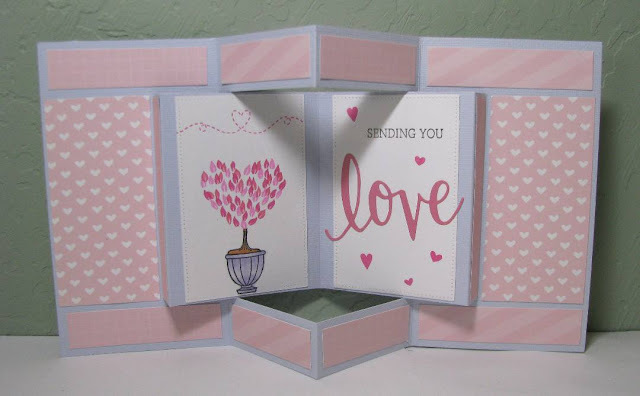 Our challenge here at Die Cut Divas is all about WATER (rain, lakes, ocean, streams, rivers, dark clouds full of water, glass of water, tears), just have some sort of water on the card. Die Cuts: clouds (Impression Obsession). Paper: white cardstock (Georgia Pacific), vellum (Coordinations-Joanns). Stamp: In My Thoughts (Altenew). Inks: background (Lucky Clover DO, Salty Ocean DO, Tumbled Glass DO), front (Gathered Twig DO, Spun Sugar DO, Memento black ink). Make sure you enter our challenge for that $25 gift certificate to Altenew! 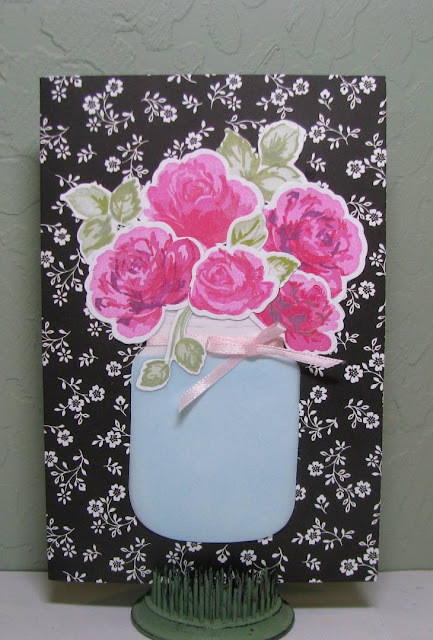 Stamps & Dies: roses, leaves (Altenew Vintage Roses). Dies: Mason jar (Frantic Stamper). Inks: roses (Orchid, Opera Pink, Rose Red-Versacolor)(Wilted Violet Distress Oxide-Ranger). Leaves (sage, bamboo Versacolor)(Peeled Paint Distress Oxide-Ranger). Water (Tumbled Glass Distress Oxide-Ranger). Paper: white cardstock, vellum, black & white card base (unknown). Other: narrow pink ribbon (Offray). I know you'll want to win that Altenew gift certificate, so make sure to enter! This is our mid-month inspiration post for March. Morgan's Artworld is our sponsor this month and we thank Morgan's for sponsoring our blog. 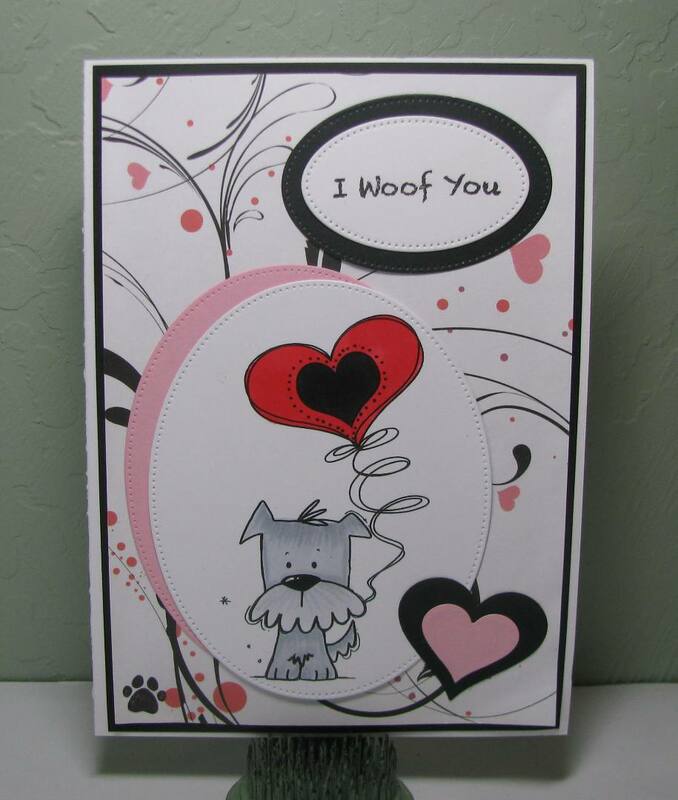 I wanted a masculine card that could by used for a variety of occasions, which isn't easy to do. So this would work as a Father's Day card, birthday, wedding, or congratulations. The only thing I would do different is a lighter, grayer teal for the bear's aura, but hey, it works. Image: Teddy Characters #2 (Morgan's Art World Digital Shop), colored with Copics. Paper: patterned paper (Theresa Collins Memorabilia 6x6 pad), white cardstock. Stamp: sentiment on tag (Happy Days by Cardz TV). Make sure to enter our challenge for a chance to win some gorgeous images! Morgan's Artworld is our sponsor at Die Cut Divas for March and our Challenge is Anything Goes". Challenge dates are March 1st through March 31st, 2019, ending at 9:00 p.m.
Visit the Digi Facebook shop (you will need to join the Facebook Group to view the Images in Albums). I really like having Thank You cards on hand. Who wouldn't love this beautiful Teddy Bear? Dies: frame (Penny Black-Antique Frames), stitched scalloped border (My Favorite Things). 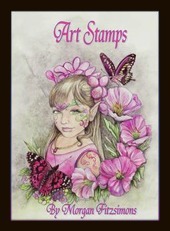 Stamps: banner, sentiment (Taylored Expressions-Fancy Banner 1, stamp & die combo), colored with Copics. 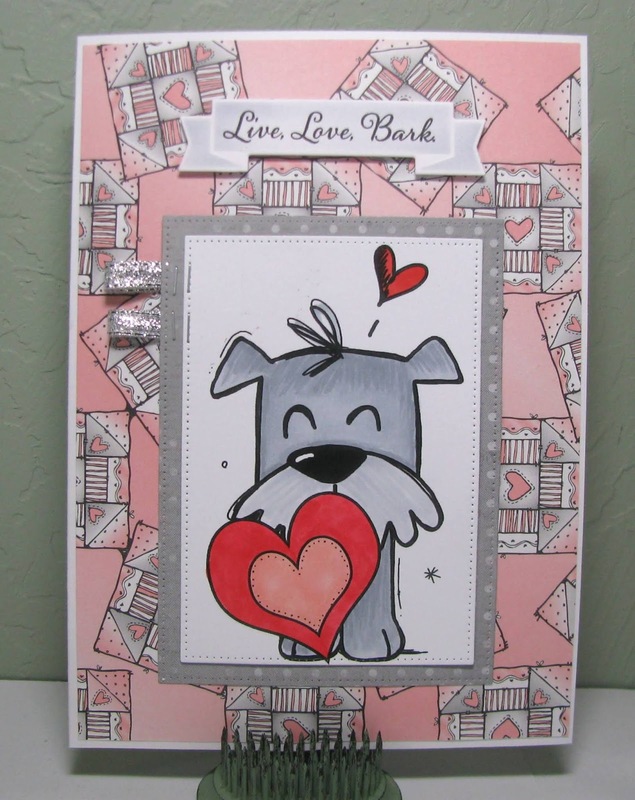 Paper: pink, white cardstock, patterned papers (American Crafts, Dear Lizzy-5th & Frolic). Enter for a chance to win beautiful digi's! I'm also entering this at Morgans Art World Open Challenge! Time to join our challenge here at Die Cut Divas. Do I hear "Love is in the Air"? Stamp: Layered Deer (Hero Arts). Walnut Stain, Gathered Twigs, Antique Linen Distress Oxide Inks. Dies: rounded rectangles (My Favorite Things), sentiment (Spellbinders Sentiments One), stitching (Tim Holtz Stitched Rectangles). 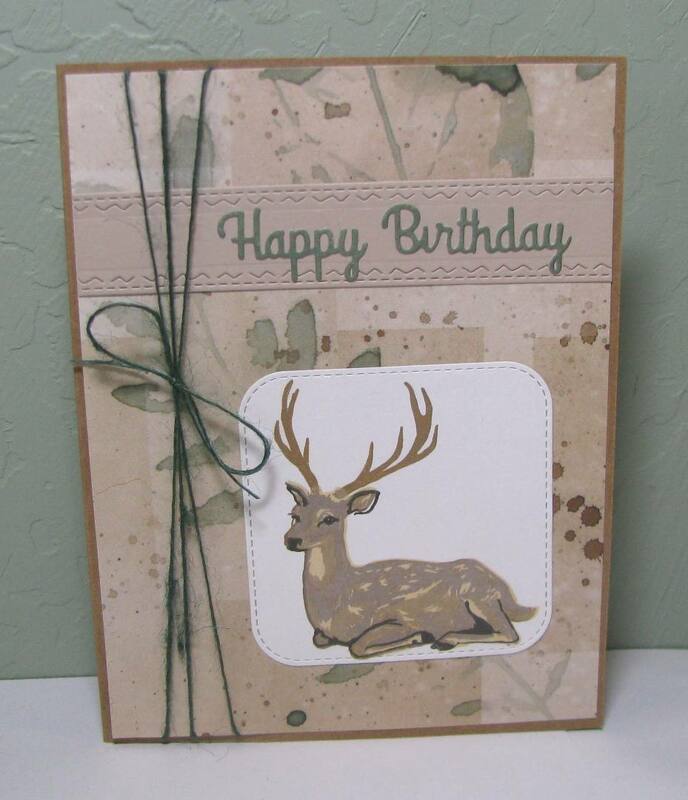 Paper: patterned (Creative Memories), tan, green cardstock (scraps). Make sure you join our challenge for a chance at that $25 gift certificate! 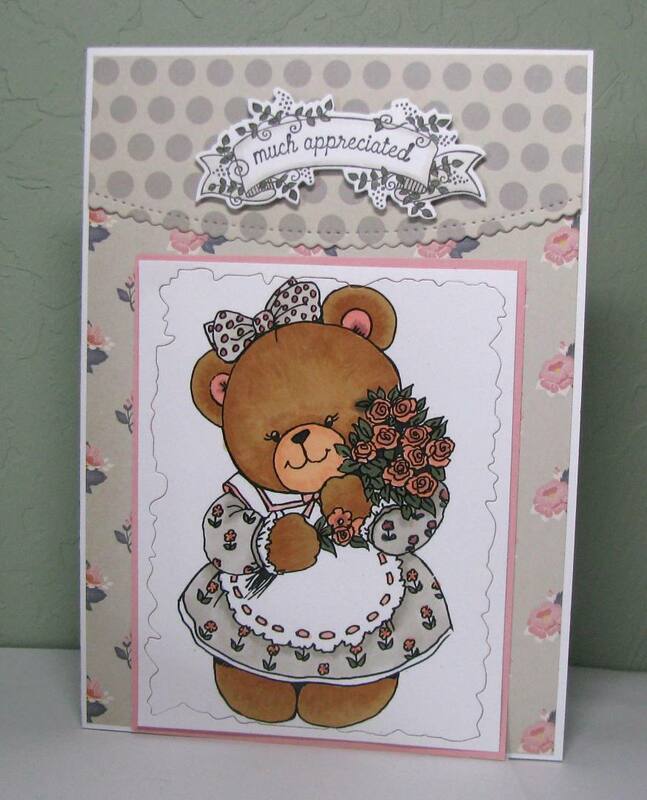 Time for a new challenge at Die Cut Divas. Do I hear "Love is in the Air"? Stamps: Layered Topiary (Hero Arts), sentiments (Hero Arts Love die and stamps). Colored with Copics. Dies: pierced rectangles (My Favorite Things). Inks: Black (Memento), Opera Pink, Orchid, Rose Red (Versacolor). Paper: light pink cardstocks (Avery Elle Sorbet Collection), dark pink (scrap), lavender card base (Le Crystelle Foldabilities). Make sure you enter our challenge for a chance at a $25 gift code from Hero Arts! 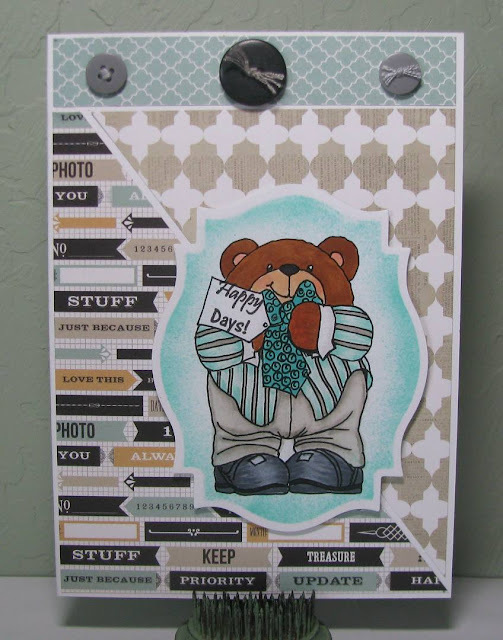 Dies: Pierced Rectangles (My Favorite Things), banner (Cuttlebug). 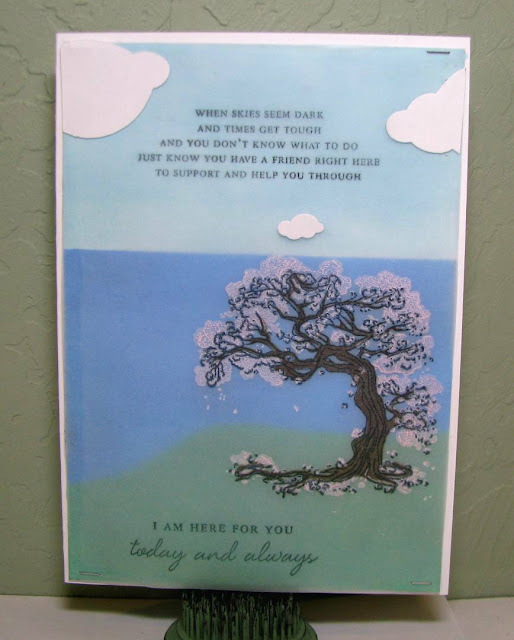 Paper: grey dotted, white cardstock, patterned paper (Old DJ Inkers). Other: silver ribbon, Tim Holtz tiny stapler, Copic Compressor for banner shading.